On Sale Now! Free Shipping Included! 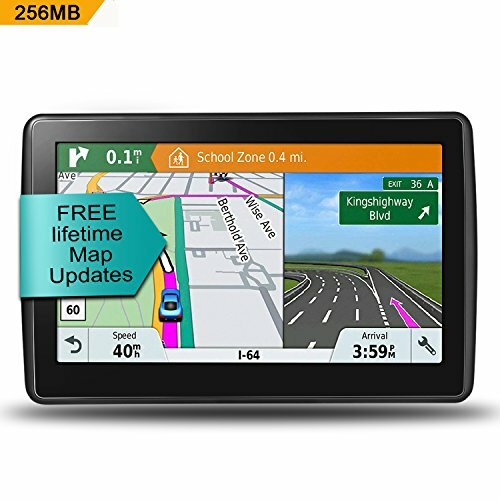 Save 3% on the Car GPS Navigation, 7-inch HD touch screen&xpandable 32g memory, Voice broadcast navigation system, 256MB Memory, including multi-function car charger - Lifetime Map update by LONGRUF at iShare Maps. Hurry! Limited time offer. Offer valid only while supplies last. The excellent GPS navigation system can take you to your destination in the shortest possible time. LONGRUF GPS Navigator is your best choice! ◆ What's different: 256MB cache runs twice as fast as regular GPS, including a multi-function car charger that allows you to charge other devices at the same time. ◆ The high-sensitivity GPS module uses the latest SIRF-ATLAS5 chip technology with map memory capability, positioning only 30 seconds - 1 minute. A true high-brightness digital screen, even the sun is clearly visible. ◆Clear road map display and enlarged maps of complex intersections, intelligent voice announcements, speed limit reminders and voice notifications for gas stations, stores, school districts, red lights and high speed cameras. ◆ 90-day money back guarantee and lifetime warranty, pre-installed with the latest maps of the US, Mexico, Canada, the new map will be updated in the first quarter and last quarter of 2018. This package includes instructions for updating the map steps, we provide global map downloads and lifetime free updates. If you have any questions about this product by LONGRUF, contact us by completing and submitting the form below. If you are looking for a specif part number, please include it with your message.